The Serendipity Trust holds Play Group Sessions for children aged 18 months to 4 years! Click here to download the info sheet for parents/guardians. 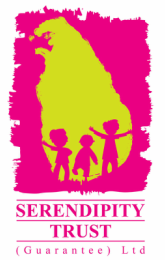 This weekly Montessori inspired play group is held at Serendipity House at 32 Cripps Road, Galle. Two weekly sessions are available; Tuesday and Friday afternoons 2.30pm to 4.30pm. Our Play Group environment provides a range of graduated activities that suit the unfolding developmental stages of children from confident walkers through to children reaching 4 years. Children can pursue tasks at their own pace with just a little help from Mum, Dad or other caregivers. This weekly group not only enables children to enjoy creative play alongside other children but also provides a vital support for parents from the local area. To begin with, the program will be supported by a Play Group Leader, who is a qualified and experienced Montessori Educator. She will be available at sessions from August until December to guide and support individuals and the group though a range of fun and creative play opportunities. The Serendipity Trust (Guarantee) Ltd is a not-for-profit organisation. Our Playgroup fees are 200/- per session per child (siblings under 9 months of age can attend free of charge). Come along and try your first session free of charge. This fee is inclusive of the weekly 2-hour session, tea/biscuits for parents/caregivers, craft materials, cooking ingredients etc. Please bring one piece of fruit along to each session for a shared snack for the kids.